Aliah is a sunny 2 y/o girl who blows kisses with her tiny hand to capture the heart of anyone she meets. In August of 2012, she was diagnosed with Stage V (as of 10/14/13) Neuroblastoma. 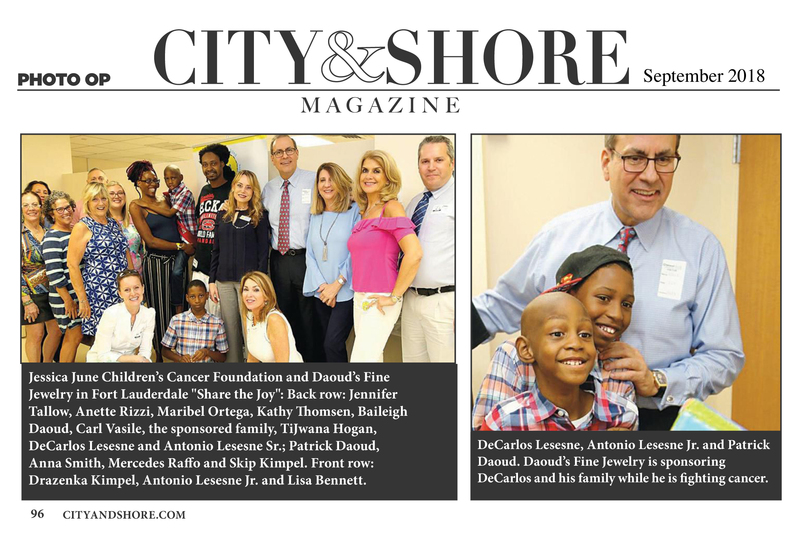 This small child endured surgery to remove the tumor, a bone marrow transplant and rigorous chemotherapy leading to remission this past Spring. The nightmare was over. In August of 2013, her mother saw visible lumps on her skull and learned that the Neuroblastoma had returned. Aliah, a very young champion, somehow maintains a sunny disposition as if being sick and in the hospital is just part of her challenging life. While the mother remains strong to support her daughter in her battle, this family of 5 is suffering to sustain basic human needs. Aliah and her family need immediate help with food and rent. Aliah Deleon is a two year-old pediatric oncology patient at Chris Evert Children’s Hospital at Broward Health. She is diagnosed with relapsed Stage IV Neuroblastoma. Aliah was first diagnosed in August 2012, when she was only one year old. 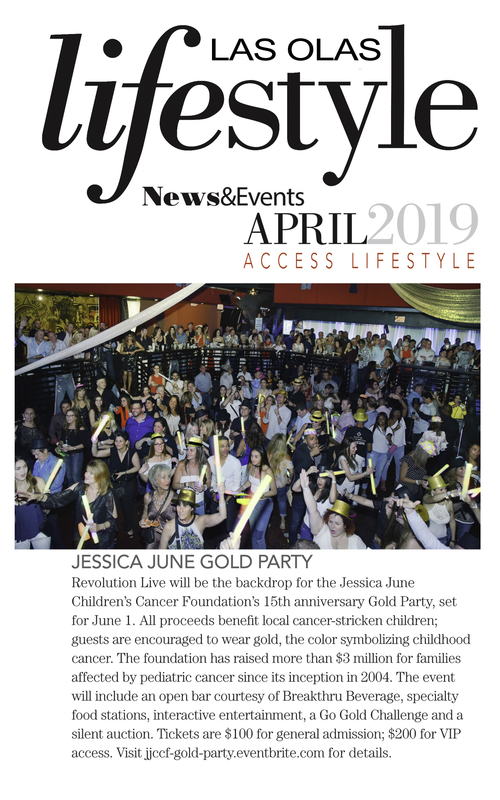 The year following her initial diagnosis involved many courses of treatment at both Miami Children’s Hospital and Broward Health Medical Center. Aliah turned two years old in the pediatric oncology unit, and hospital treatment has become part of much of what she knows in her life thus far. 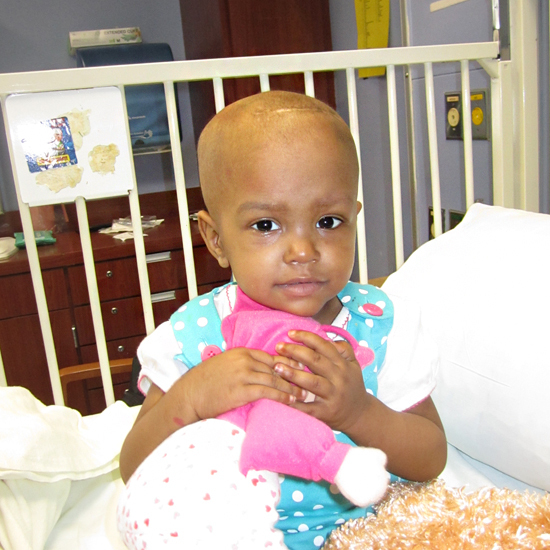 Aliah’s treatment has included many courses including radiation, chemotherapy, and surgery. At Miami Children’s Hospital, she was treated on a chemotherapy protocol, had surgery to remove the mass. 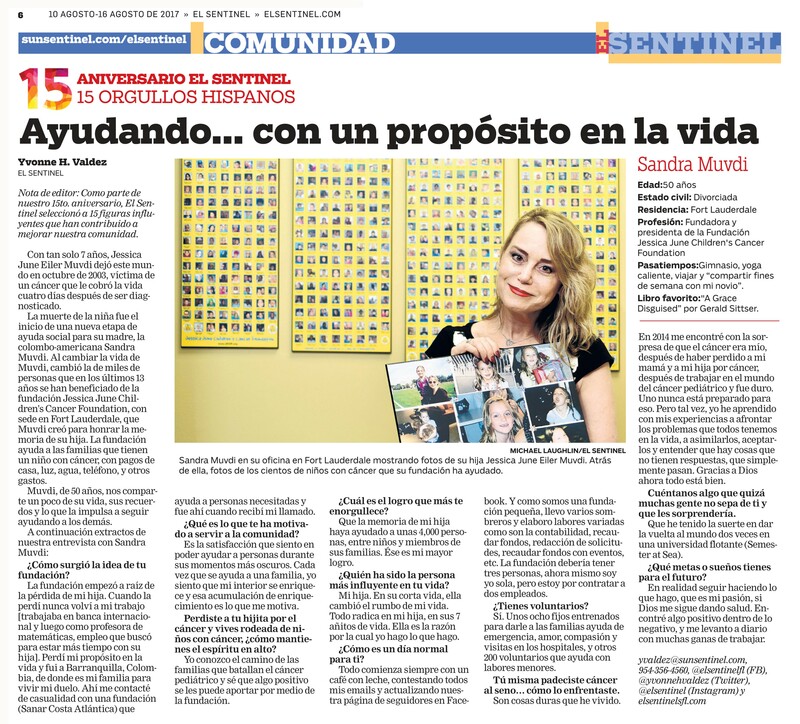 Additionally, she had autogulous bone marrow transplantation. She came to Broward Health in April 2013, and received a course of chemotherapy. In August 2013, one year after her initial diagnosis, she presented with visible lumps in her skull and we learned the Neuroblastoma had returned. She began being treated with radiation and chemotherapy and continues to be treated at present time. During the several months that Aliah has been a patient with Broward Health, many of the staff have enjoyed her company. When feeling well, Aliah is playful and happy little girl who has been put through many challenges during her young life. Despite being without transportation of her own, Aliah’s mother always finds a way to bring Aliah to her treatment at the hospital. Aliah’s three siblings often accompany her mother on their hospital visits and try to provide a sense of support although they are just children themselves. Her mother has been unable to work, as she has needed to be available for Aliah’s consistent treatment throughout the past year. The family is residing with relatives, and could benefit greatly from assistance with groceries, childcare needs, and transportation for the many trips to and from the hospital. Thank you for your consideration. Aliah Deleon was diagnosed with Stage IV cancer in July of 2012. At that time she was 11 months old. She is my fourth baby with two sisters and one brother. Aliah is loving, adorable and beautiful inside and out. She remains strong despite everything she has to go through. Aliah is a warrior when it is supposed to be the other way around. I have heard stories and testimonials but never thought my family would be one of them. It is really hard to be there for my other children when all my love and strength must go into Aliah’s treatment during this time. We are currently living with my sister in a two bedroom apartment with her children. I am a single mom struggling with this crisis and really need help with food to help feed my family. Aliah is God’s child and I believe with all that is in me that she is healed. God is the creator of all things and through him anything is possible.